I can’t believe the weekend is over already! I spent the majority of mine writing my final exams. It wasn’t ideal, but had to get done. I did manage to sneak away a little last night to go out for Thai food with Dan. We went to The Elephant Cafe on Farwell. We had never been there before, but decided to brave the freezing cold weather so that we could try it out. Our crab rangoon appetizer was delicious, but when it came down to ordering our food we both decided on curries. Dan ordered the red curry and I ordered the ginger curry (it has baby corn in it – how could you go wrong with that?) When asked how spicy we wanted them, we both went with 3 out of 5, thinking that would be pretty safe. We figured we wanted a little bit of spice, but didn’t want to burn our mouths too much. When we tried our food however, holy cow it was HOT!!! I mean really, really spicy. I have never experienced this much spice in my life. I can’t even imagine what 5 out of 5 would have been like! I assume my food was really good, but honestly my tongue was too numb to even taste anything. So we have learned our lesson: next time we go to the Elephant Cafe, we will be asking for a 1 out of 5 on the spicy scale! You should have seen us airing out our mouths in the frigid Milwaukee air, trying to cool off our tongues. We probably looked quite silly. It’s so simple and a great source of energy to include in your lunch or as a mid-day snack. 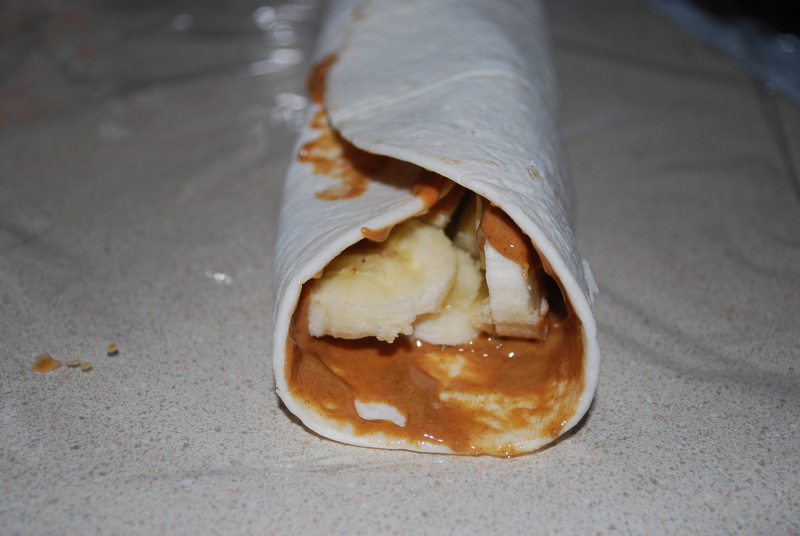 Spread it with peanut butter (almond butter would be great too if you prefer it!). 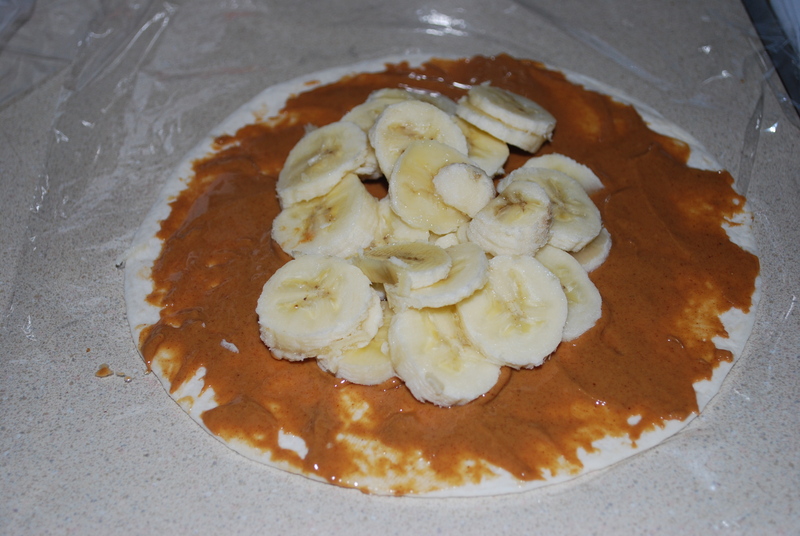 Next, top with one sliced banana. 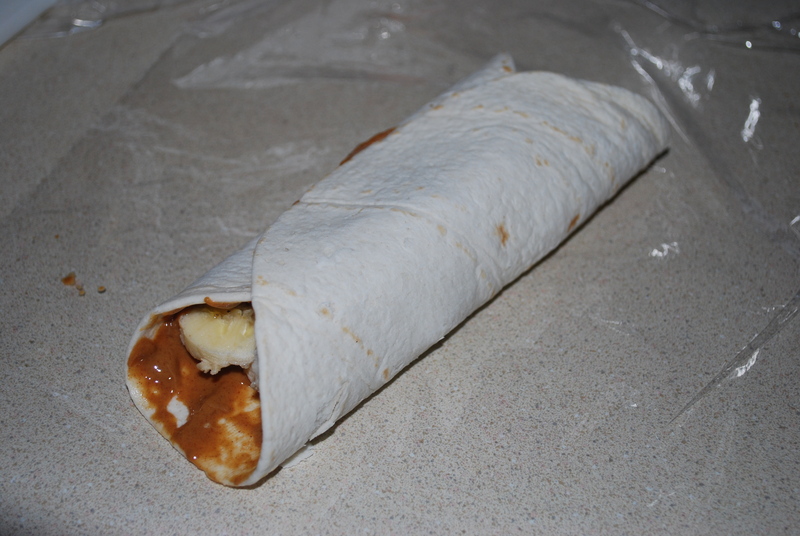 Roll up your tortilla like a burrito and that is it! Wrap it in some plastic wrap so that it stays together for easy storage in your lunchbox. So simple! It’s one of my favorite things to take for lunch – I love it! You can even make one the night before and store it in your fridge for an easy grab-and-go breakfast or lunch in the morning. 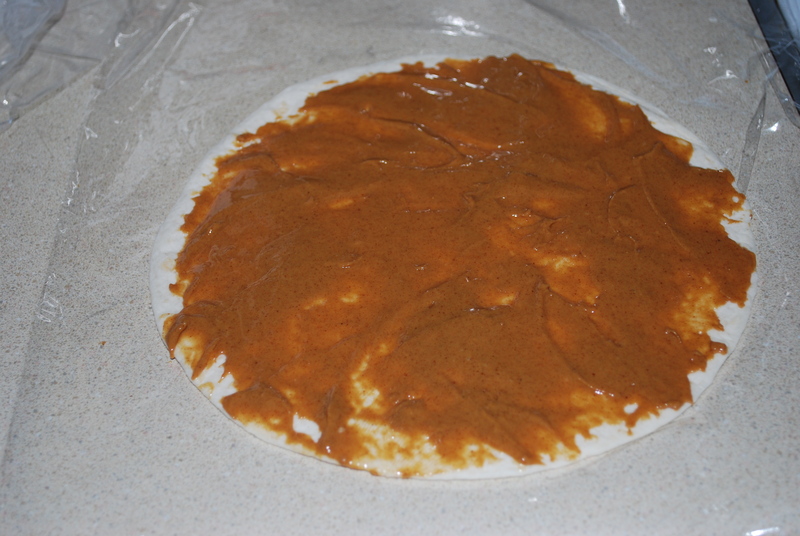 Spread tortilla with peanut butter. Top with 1 sliced banana. 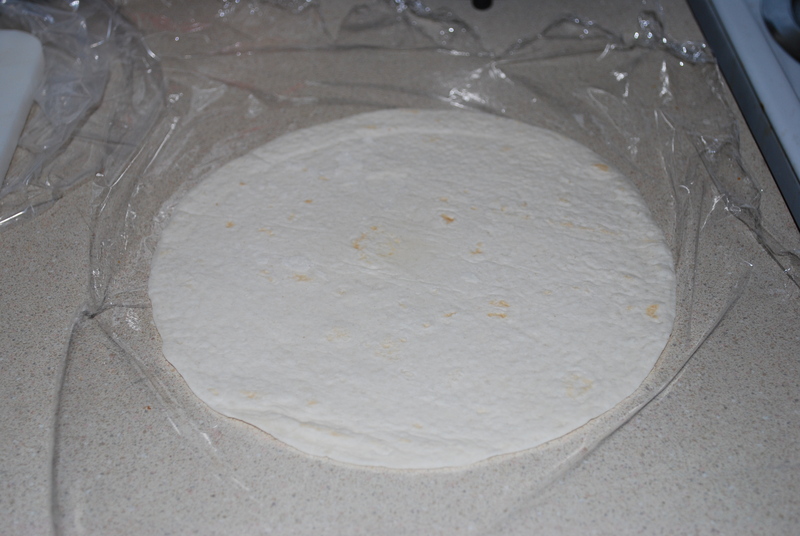 Roll up tortilla, then roll tightly in plastic wrap for easy storing. 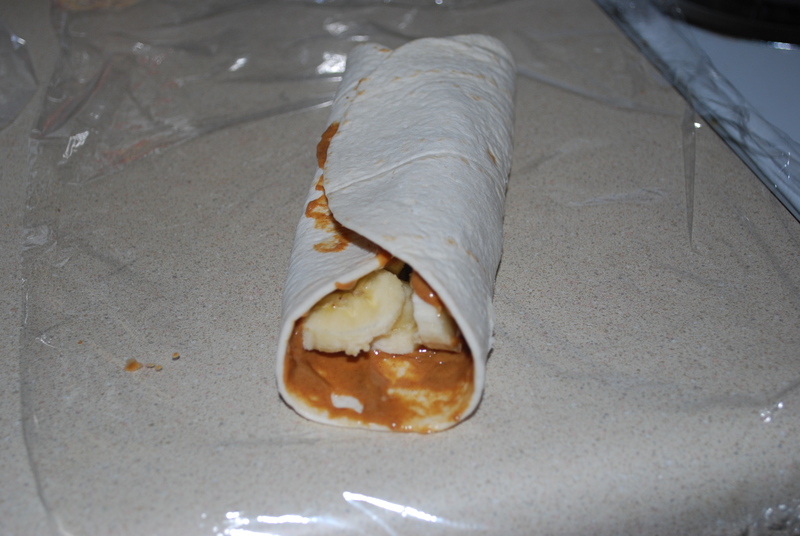 This entry was posted in Breakfast, Lunch, Snacks and tagged banana, lunch, peanut butter, quick, simple, snack, tortilla. Bookmark the permalink. Haha, Gourmet Greek Girl! This is awesome. This is EXACTLY what my dad would make and eat! Love it! Your dad has good taste 🙂 My mom used to make me these when I was little as a snack and I’ve been obsessed ever since!